Church on the Hill is never ceasing to grow in our love for the hurting, our vision for this city, and our passion for missions. Each year God continues to expand our reach through small groups, community involvement, short term missions, and our weekend Celebration Services. Our team is committed to steward the resources God has provided with integrity and accountability. 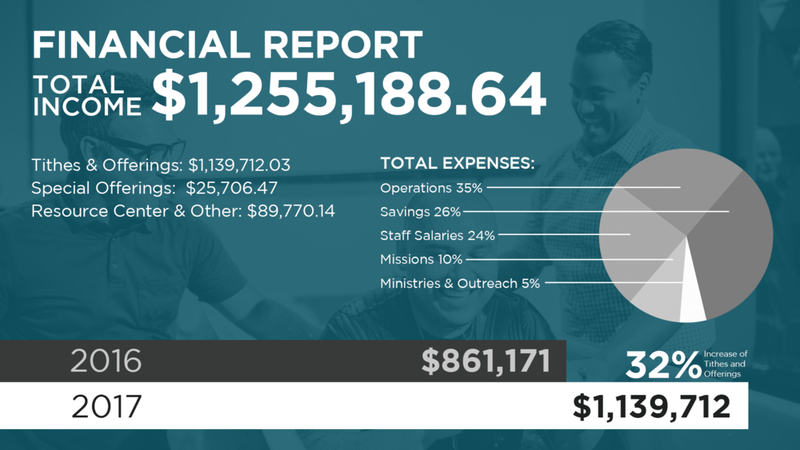 It is through your generosity and partnership that we have seen God accomplish many miraculous things this year. We are excited to celebrate the wins of 2017 and anticipate even greater impact for the Kingdom of God in 2018!